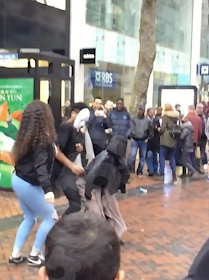 A Muslim teenager believed to be about 17 years has received death threats after a video emerged of her twerking with a masked man in the middle of a busy Birmingham city centre while passers-by gathered around to watch. In the offending video, the girl can be seen dancing and thrusting her derriere back and forth against the man's crotch while clapping and singing along. The photo was posted on Facebook and enraged users poured their anger on her in the comments section, with most calling her names and saying she deserves to be killed, while a few people defended her and asked that she should not be judged harshly. "Truly disgusting. Some people don't understand the meaning of the veil," one user wrote. 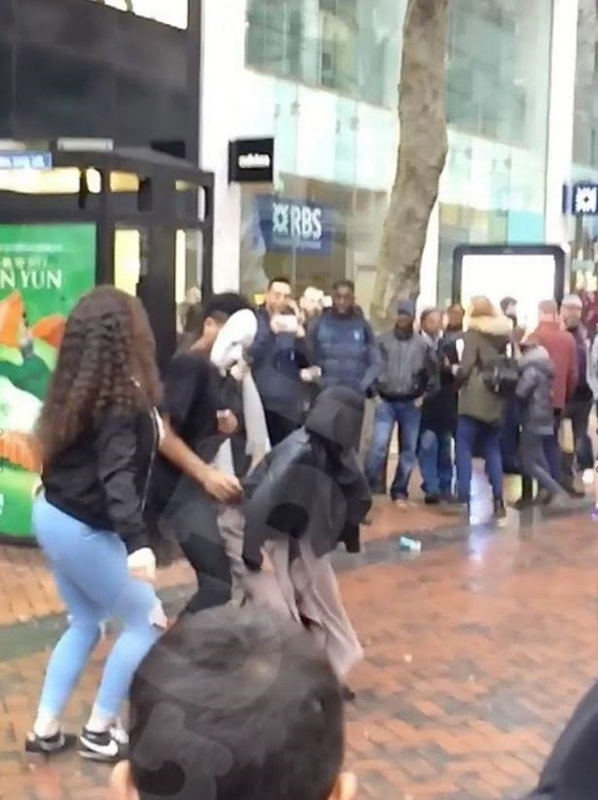 Later, a video emerged on YouTube of an anonymous girl, claiming to be the teenager in the footage. She was seen in the new video apologising for anyone she had offended. 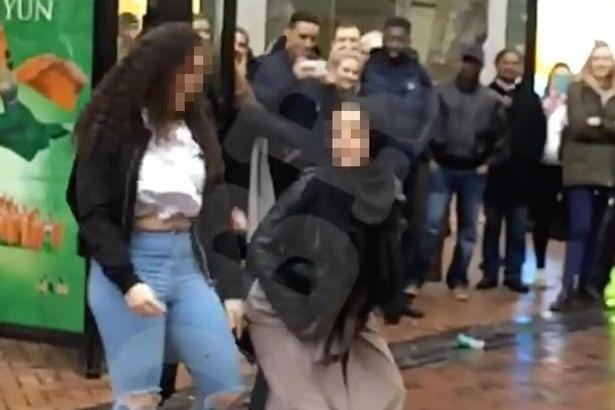 She explained she had been out shopping with her friends when she came across a man playing music and she began dancing. She revealed that she had just recently started practising the religion. She also said she suffers from depression and other mental health problems which do not let her think straight sometimes. "To all the girls that wear hijab and wear abayah, I'm sorry for disrespecting it. I've learnt from my mistake," she said, then added: "It's gone viral and I'm hurt. I want everybody to leave it alone and keep everything away. I don't want it to be how it was and I am not going to do anything like that again."